Employee development doesn’t stop after an orientation, a few training sessions and distribution of an employee manual. Engaging with your staff – particularly the motivated, eager and energized employees – can really have a lasting impression on your c-store. 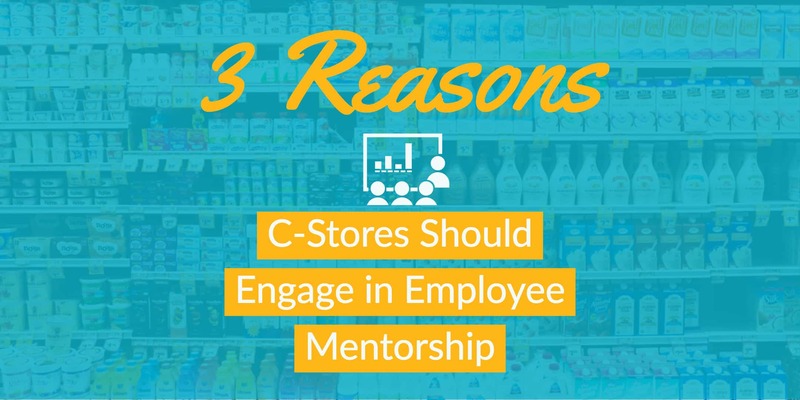 Here are 3 reasons engaging in meaningful employee mentorships matters for c-store owners and operators. 1. Unemployment rates are at an all-time low – In May, 2018 the United States unemployment rate dropped to 3.8% – the lowest it has been since April, 2000, as noted by Trading Economics. As such, it stands to reason that there are fewer candidates to fill your open c-store roles. That makes it even more important to support the employees you have and provide a comprehensive and well thought through mentorship program. Providing mentorship programs for various levels of your organization doesn’t have to be a challenge. Turn to Strasburger Retail to help you navigate the process with confidence. 2. Managers matter – While it is important to have a mentorship plan in place for your up and coming stars it is also prudent to consider a similar program (albeit geared towards varied objectives) for your c-store managers. As noted by Gallup research, managers influence upwards of 70% of an employee’s motivation. It is critically important to provide your managers with the tools necessary to keep the remainder of the team engaged, focused and motivated. Missing this opportunity could have negative implications that go beyond a disgruntled employee. 3. Employee loyalty – Have you ever heard the story of an employee that started in retail by stocking shelves, worked their way through the ranks until they reached a management position and ultimately retired with that company? While those stories are harder to come by, there is still employee loyalty with good companies. That said, loyalty has a variety of meanings. Where loyalty was once tied to tenure with a company, it’s spanned beyond the calendar and into areas of productivity, efficiency and even good faith. Treating your c-store employees with respect and giving them the tools to successfully execute their roles are part of the building blocks to creating loyal employees. Developing personal mentorship roadmaps for your c-store employees is the next step. Partner with those that are intimately familiar with mentorship and the benefits associated with it; look to StrasGlobal for that guidance. Mentorship isn’t consistent from location to location, it’s complex in its own right. StrasGlobal has decades of experience providing tailor fit mentorship programs for c-store employees through all of the ranks. Rely on StrasGlobal to help you succeed. Contact us to learn how StrasGlobal can help you establish and maintain employee and manager mentorship programs.